Hi guys, so over the last few months I decided to start to try and receive free samples by mail. Being stuck at home pregnant I seem to have a lot of time on my hands. 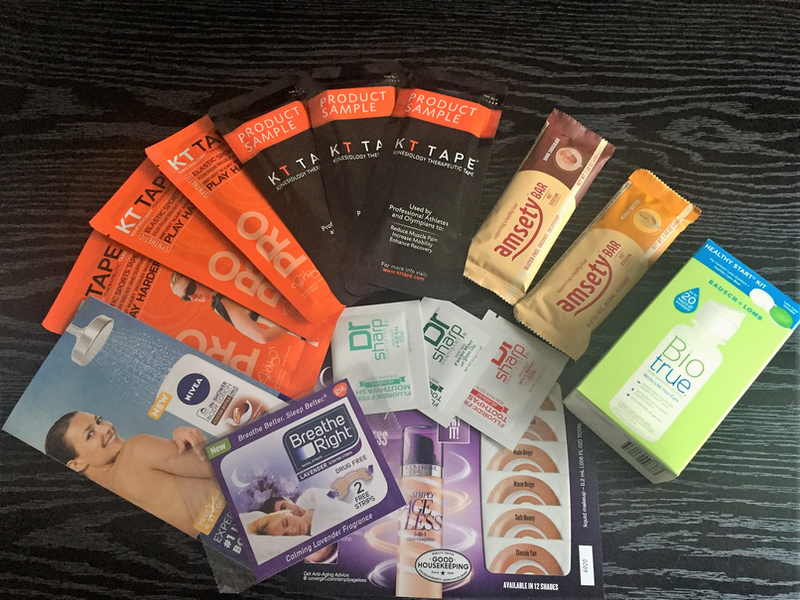 I found out about most of these samples from a few different sites including vonbeau.com hip2save.com….. In order to start this process I created a new yahoo email (to keep my main email free from spam) and I created a google voice phone number (some sites require a phone number and I did not want to give out my main number). Now I will say I was a bit skeptical at first that I would actually receive any items. It seems like your filling out forms for days and not seeing anything materialize (most deliveries take 4-6 weeks). I wanted to share my progress with you so below is list of the items I have received thus far. I am going to try and keep up with it and keep posting the results. Let me know if you think it is actually worth it or not.